It’s not often that these words are all part of one story but they are! The Geelong Cemeteries Trust is a finalist in the Environmental Protection category of the 2016 Premier’s Sustainability Awards. Individuals can participate in the People’s Choice Award and vote for the magnificent Moonah Memorial Walk – part of the Queenscliff Cemetery managed by the Geelong Cemeteries Trust. 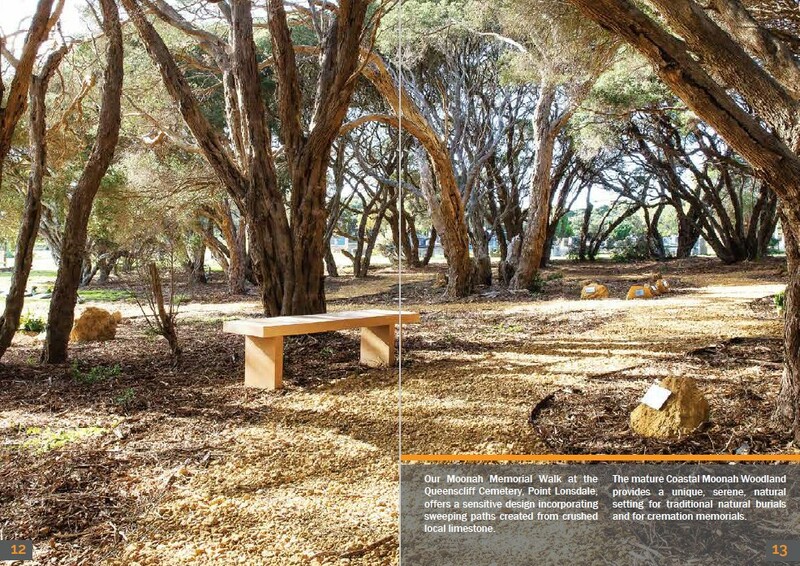 The Queenscliff Moonah Memorial Walk is a magical area in the Queenscliff Cemetery – read about this project of the Geelong Cemeteries Trust. And while you’re looking at the Geelong Cemeteries Trust web site, have a look at the cemeteries managed by the Trust – then do a search for your ancestors as most of these cemeteries are indexed and mapped on the GCT Deceased Search site. Also read about researching burials during the early years of the Geelong Eastern Cemetery. Don’t forget to vote for the GCT Moonah Memorial Walk.